Many people use hand sanitizers. The reason is obvious: they are a convenient way to prevent the spread of bacteria, viruses, and other pathogens which can spread illness. The good news is that for those who are concerned about the chemicals that they apply to their skin, or want to protect the environment, there are a number of effective organic, natural hand sanitizers available on the market. The obvious benefit is that natural hand sanitizers contain fewer chemicals, making it easier to understand exactly what is in the product. Many traditional brands contain chemicals such as isopropyl alcohol (isopropanol), n-propanol, povidone-iodine, or benzalkonium chloride. There are concerns about these ingredients, including that some may be associated with growing antibiotic resistance, or are adversely affecting the environment. For those who suffer with skin problems such as eczema or psoriasis, natural brands are often gentler on the skin, and less likely to cause flare-ups of these conditions, or dry the skin out. In addition, some research has suggested that the natural essential oils used in organic hand sanitizers may be more effective than the mainstream products at killing bacteria and other organisms that are becoming resistant to antibiotic treatments. 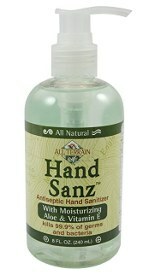 Many people fail to sanitize their hands adequately due to not using enough of the product. To ensure the most effective use of the sanitizer, you should apply an amount at least the size of a dime to the palm of one hand before rubbing your hands together for a minimum of thirty seconds. Make sure that you cover your entire hands, including between the fingers and around the tips, nails, and upper wrists. Ideally, any rings should be removed, but if this is not feasible, then cleaning carefully around them and as far underneath as possible will make a significant difference. Any product containing alcohol is flammable, and should be kept away from flames. And even natural products can be harmful if swallowed, so they should be stored out of the reach of children. For those seeking a natural alternative to the mainstream brands, there are a range of natural hand sanitizers available on the market. Here we look at some of the best options. Sold in packs of 24, these individually wrapped wipes are made using Castile soap (made with olive oil), and essential oils, including tea tree, rosemary, and tangerine. 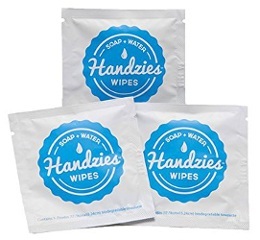 Handzies wipes contain no alcohol and are based on a ‘soap and water’ approach. As a wipe, they have the advantage of being able to remove dirt from your hands, in addition to killing germs. They are biodegradable, so they will not harm the environment. And since they are individually wrapped, they are perfect for using outside of the home, and are gentle enough to use for cleaning children’s faces. Dr. Bronner has been around 1948. From early in its history, the company took an ecologically and environmentally friendly approach: its products are USDA certified organic, and it actively creates Fair Trade projects with its suppliers across the world. Dr. Bronner’s hand sanitizer spray combines just four ingredients: organic ethyl alcohol, water, lavender oil and glycerin to create an effective yet gentle hand spray. It’s certified organic, not tested on animals, suitable for vegans, and is non-GMO verified. For those concerned about the environment, the bottles are made entirely of recycled plastic. EO stands for Essential Oils. 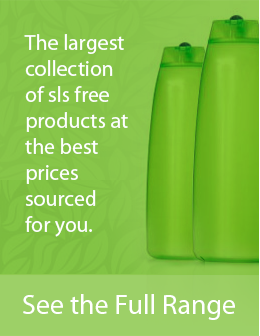 All of their products have been certified as organic, cruelty free, gluten free, and containing no synthetic fragrances. Most of their packaging is from recycled plastics, and they are working towards achieving 100% recycled packaging. EO botanical sanitizer spray comes in a pure lavender scent. It uses organic sugar ethanol, a natural antimicrobial that doesn’t harm the ecosystem. Combined with vegetable glycerin and vitamin E, it effectively sanitizes and absorbs easily into the skin. This product is also available in a gel form. This product has been proven to kill 99.99% of germs and bacteria, making it demonstrably as effective as any non-organic sanitizer against such ailments as e-coli and MRSA. The base is ethyl alcohol, which provides the cleansing power, with aloe vera and vitamin E for their moisturizing properties. The product contains no carbomers, and instead uses wood cellulose and vegetable glycerin to thicken it to a gel consistency. Approved as a SkinSafe product, All Terrain Hand Sanitizer Gel is available in fragranced or unscented versions. Some people find the product quite thick and sticky on application, but this may be an advantage when using it with children, as it is less likely to slip or drip off their hands when they rub it in. It still absorbs quickly and leaves hands soft and clean. The Honest Company’s products are certified cruelty free, and they are a Gold level Certified Business by Green America, demonstrating its commitment to natural, environmental, and social concerns. Their product is available in an aloe scent. Like many of the other products listed, the base ingredient is ethyl alcohol, with aloe, glycerin, calendula and chamomile also present in each version. The Honest Company Hand Sanitizer Spray has been criticized for feeling somewhat sticky when first applied, although it still absorbs easily into the skin without any drying effects. Anyone looking for a natural hand sanitizer will be able to find a wide range of products available to purchase, whether they prefer wipes, a spray or a gel. All of those listed above are available from amazon.com. Most are available in a range of sizes, meaning that they can be used in the home, at work or on the move.